Eyebrow Threading/Threaded Eyebrows vs Waxing Eyebrows, Which is better? Perfectly groomed eyebrows is the dream of every girl. The properly arched eyebrows makes the face more beautiful. Eyebrows is the first thing which can either make or break your appearance. It is very important to keep your eyebrows in shape to give the lasting effect on the onlooker. Threading and Waxing are the two most popular methods used to give the shape to eye brows. But of these options mentioned, which one is best? Which is better in terms of giving shape, less painful and to give a perfect arched look? Let us examine. 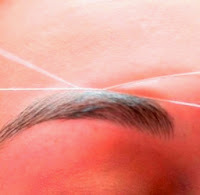 Threading: In this method, a person make use of cotton threads around the fingers, adjusted in the scissor shape, removes the extra hair from eye brows. Waxing, on the other hand, applies wax in the direction of hair growth and with the help of the wax strips the hair is removed. Both the ways has proved to given the desired results of giving the shapes to your brows. But is one better than other? 1) Threading has been proved to give the most desired and identical shapes to the both sides of brows. 4) Threading is the most hygienic method to remove the extra hairs. Used threads does not help in removing the hairs. Hence every time the threading artists has to use the fresh thread to remove the extra hairs of eye brows. 5) Threading does not have any side effects, irrespective of skin types. 1) Threading is the time consuming job. So if time is the concern, opt for the waxing which can in one go removes the ten and hundreds of unwanted hair. 2) Waxing helps in damaging the hair follicles. This means when waxing used regularly, can help in reducing the re-growth of hair. It really depends upon person to person. 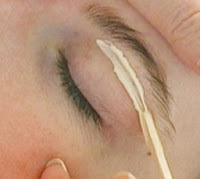 If you have sensitive skin and can have 10 to 15 minutes to spare, I would suggest to go with threading. Threading is less painful though takes time to give the output. Threading gives the most appropriate shape as compared to waxing. However, in the longer run waxing helps in reducing the re-growth of the hair. Threading, by far, is the most preferred method used by many women. Have you tried both the methods? Which one do you prefer - Threading or Waxing?